Sony's an enormous multinational conglomerate. Some perspective on just how big it is: Sony's ranked 105 on the Fortune Global 500 (for 2014), has its hands in everything from chemical manufacturing to financial services to Hollywood films and employs over 140,000 people. Of that number, just 8,000 people make up Sony Computer Entertainment -- what's better known as the PlayStation brand. And that small group of people is now largely responsible for the near future of the mothership. In short, Sony's leaning on its PlayStation arm to buoy the whole company's financials for the next several years. No pressure! What does that feel like from inside Sony HQ in Japan? I asked SCE Worldwide Studios head (and video game character) Shuhei "Shu" Yoshida this past weekend at the PlayStation Experience in Las Vegas. "Of course there's pressure," Yoshida said. That's -- of course -- expected. What's not so expected is Yoshida's depiction of the last 20 years of PlayStation's life inside the behemoth that is Sony Corp. "It's great that these days when we talk to Sony HQ people, they treat us like one of their key businesses," he said. Considering the popularity of the PlayStation brand worldwide, you might think the relationship between Sony's main leadership and its subsidiary, Sony Computer Entertainment (PlayStation), would have always been so chummy. While PlayStation 4 is a recent hit for SCE, the three previous PlayStation consoles and two handhelds were no slouches. 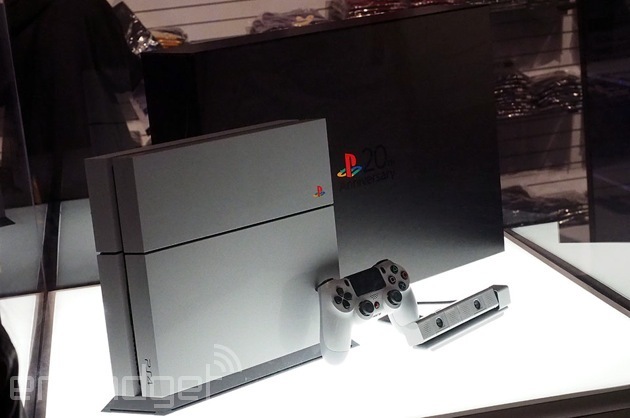 The PlayStation 2 remains one of the most popular consoles of all time, as well as one of the highest selling. It seems nuts that Sony wasn't paying attention before. "It was not the case!" Yoshida said. "We were doing things on our own, and Sony HQ people didn't quite understand what we were doing. So it was quite interesting -- a huge change." The "huge change" he referenced is the aforementioned shift in company focus: from televisions and smartphones to the array of PlayStation devices. One example he cited was PlayStation Vue, the upcoming live television service from Sony that pushes to many different devices. "We are calling it PlayStation Vue. Not Music Unlimited, or Sony something. It's PlayStation-branded, even though the service is going to multiple devices." The tone of internal conversation is completely different now, Yoshida told me. He specifically called out the company's new Chief Financial Officer Kenichiro Yoshida as leading the charge, along with former SCE president/current Sony CEO Kaz Hirai. "It's quite a change of attitude, and the expectation is higher of course. But the understanding is better -- they ask lots of good questions. Especially the new CFO, [Kenichiro] Yoshida-san (the same family name). He's so great -- he asks straightforward questions and tries to understand what are the most important things of each business. He's making lots of changes along with Kaz [Hirai, Sony CEO]. Kaz and Yoshida-san are making lots of the changes that you're talking about. And that really helps us to be recognized as the key area to invest for the future." I get that this sounds like fluff, but it's impossible to convey the genuine excitement Yoshida radiated while talking about his group at Sony finally getting real recognition after 20 years of work. Yoshida's been with SCE since 1998, and it's clear that he's proud of how far PlayStation's come. If nothing else, the change in tone internally is reflected in PlayStation's tone externally in the past year -- leading up to and following the launch of the PlayStation 4 -- and symbolized in the PlayStation Experience event. It's why something crazy like Project Morpheus exists, the virtual reality headset headed for the PlayStation 4. Yoshida cited it as something the brass are "very, very, very supportive" about, despite it largely being a passion project with no guaranteed financial payoff. On top of that, such a project is being entrusted to a relatively small percent (5.6) of Sony Corp's worldwide staff. It's a risky move, but one that could pay off substantially in the long term: a big bet on an emerging medium with no market to speak of just yet. Yoshida urged patience with virtual reality on a consumer scale, at least from PlayStation, and teased out the not-so-distant future of Morpheus. "Hardware-wise, we have been showing the same version that we've been shipping to developers. But internally in Japan, we are working on new tech that we are extremely excited about. So we are watching closely the new things the Oculus guys show. And I'm very happy to hear the reactions from people who tried Crescent Bay, because we all kind of have the same understanding -- about panels and latency, resolutions, tracking -- that constitutes a great VR experience. And the reaction that people are giving to Crescent Bay is very, very encouraging to think about what we could have you try. So we've made lots of progress, but we are waiting for the right time to replace what we are demonstrating. Still, the current version creates a good enough experience for people who try the current generation of VR. It's evangelizing that we feel is so important to get more people to understand what could be possible." What happens with Morpheus and PlayStation in the long run is anyone's guess, but at the very least the group within Sony has the full attention of its corporate overlord. All it took was 20 years.